Beer City Festival is the celebratory conclusion to the annual Asheville Beer Week event highlighting Western North Carolina’s craft brewery sector. Hosted by the Asheville Brewers Alliance, Asheville Beer Week kicks off on May 22nd, 2015 and features daily events dedicated to regional beer tastings, food pairings, education, and more. With over 100 breweries and brewpubs calling North Carolina home, and over 25 of those based in Western North Carolina, Beer City Festival prides itself on showcasing local craft beer. Beer City Festival is an excellent opportunity to experience all of Asheville’s legendary craft breweries in one setting. 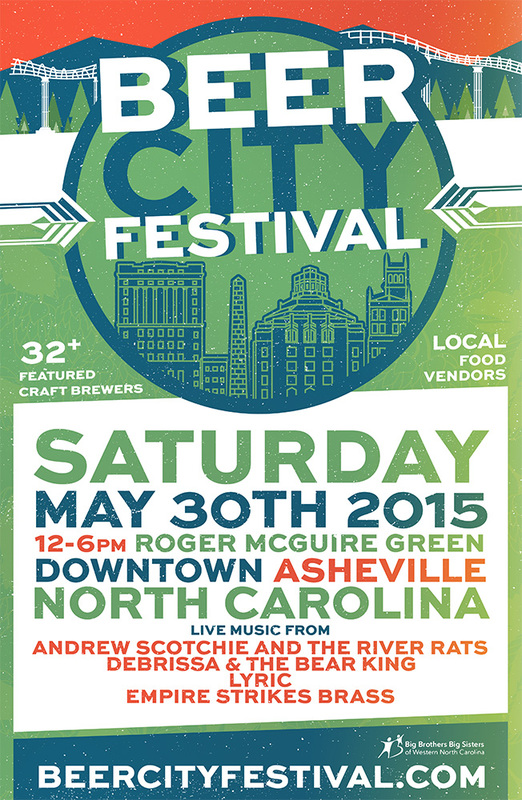 Beer City Festival takes place at the Roger McGuire Green in downtown Asheville and features music from some of Asheville’s favorite local musicians. Funk rock masters Empire Strikes Brass, soul artist Lyric, neo-Funk n’ Blues outfit Andrew Scotchie and the River Rats, and songstress Debrissa & the Bear King will provide feel good tunes throughout the day. Tickets go on sale this Wednesday, April 15th at 12 PM ET. Tickets are $45 and includes admission and all beer tastings. Beer City Festival is proud to donate a portion of all proceeds to Big Brothers Big Sisters of Western North Carolina, a United Way agency. 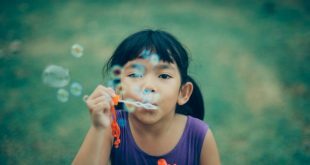 The organization serves young people in Western North Carolina in over nine counties, matching children (ages 6-14) from single-parent families with caring, adult mentors. Asheville Beer Week (ABW) is an annual event celebrating all things craft beer by showcasing Western North Carolina’s brewery sector. Supported by Asheville Brewers Alliance, ABW is organized by a volunteer committee of regional beer industry tastemakers. Asheville Beer Week kicks off on May 22 and features an amazing line-up of tastings, dinners, beer education, and other beer-related fun before culminating with the sixth annual Beer City Festival on May 30. Asheville Beer Week is one of the best opportunities to experience first hand why more than 25 breweries were started here and still call Western North Carolina home, and what drew Sierra Nevada, Oskar Blues and New Belgium to build second homes here. The Asheville Brewers Alliance supports, grows and promotes the craft brewing community in Asheville and Western North Carolina by cultivating a culture of quality, collaboration and education. Founded in 2009, the not-for-profit trade association functions as a credible, cohesive voice for the craft brewing industry locally, regionally and nationally. More information is available www.avlbrewers.com.